Tenorshare iCareFone is without a doubt, the software you were waiting to transfer data from your iPhone, iPad or iPod. This is a very powerful app and it tops our list in this article thanks to its stellar features and amazing transfer support. It can transfer any kind of data with just a few clicks. You can transfer your music, videos, photos, messages from the source device to any other device within the proximity without compromising the quality of the files. Tenorshare iCareFone is a very compatible app and it is available for both Windows and Mac. 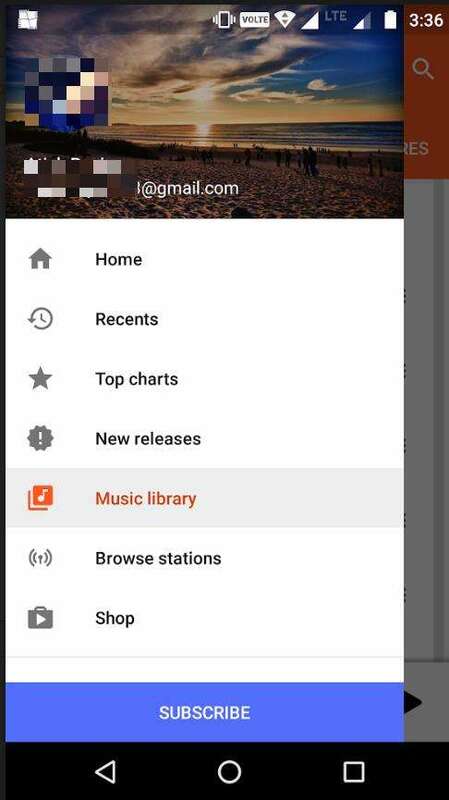 The interface of the app is very user friendly and it is strongly recommended by its users and that's why this is the best program to transfer music from iPhone to computer. The software has a very intuitive nature and performs data transfer at superior speed. Transfer speed is the best here hands down. You do not need any Wi-Fi connection to use this software, it works offline. You can select multiple or bulk data while transferring. You can transfer any kind of music like downloaded, purchased and even un-purchased music. The software is very secure and stable; you won't have to face any loss of data or quality problems. Unlike iTunes, the backup created by this software is readable. Tenorshare iCareFone is compatible with iPhone X/8/7/7Plus/6/6S/5/5S/SE ETC, iPad, iPad Pro, Mac, Windows etc. End to end 2-way transfer available. Support to transfer 10 songs in free trial. It does not come free of cost. AnyTrans for iOS is a well known iOS data transfer tool. Since its launch, the app has gained a huge popularity from various sources. AnyTrans is able to easily transfer your music from iPhone, iPad or iPod to any other computer and vice versa. The app can actually transfer any kind of data between iDevices. It is a very useful tool with powerful features and it is considered as one of the best software to transfer music from iPhone to computer. Where a majority of software helps you to transfer music from iPhone or iPod to your computer, AnyTrans for iOS can also transfer music from a computer to an iPhone or iPod. AnyTrans provides you with selective freedom when it comes to transferring music, you can either send all the files at once or send them selectively. AnyTrans for iOS provides great stability, which means that the app won't crash during data transfer. It is designed by an Apple certified developer, so it is very secure. Any data loss of information won't occur. Although AnyTrans has a free version, if you want to get all of the facilities of the app, you need to get the registered version of the app and the registered version is a bit pricey. Another application to transfer music from iPhone to computer is CopyTrans. It basically forms a connection between iDevices and your computer, which helps you to transfer a variety of data like music, videos, photos etc comfortably. Also with CopyTrans, you get two options to backup your music, the first is 1-Click Smart Backup and the second is Flexible Manual Backup. Actually, the manual backup mode individually transfers the music files and creates a file name for each one but the 1-Click Smart Backup Mode only transfers the missing songs or videos to iTunes Library. One of the best features of CopyTrans is its transferring capability that works in both ways, which means that you can not only transfer data from iPhone to a computer but you can also perform the opposite. If you are using this app, you can select where on your computer you want to backup your music, you can even store it on an external hard drive. CopyTrans posses high speed transferring capability. You can transfer 7GB data within 3 minutes. Reported compatibility and stability issues from other users. iExplorer is a very efficient data transfer tool. You can easily manage your music, videos, messages and other data with the help of this amazing app. 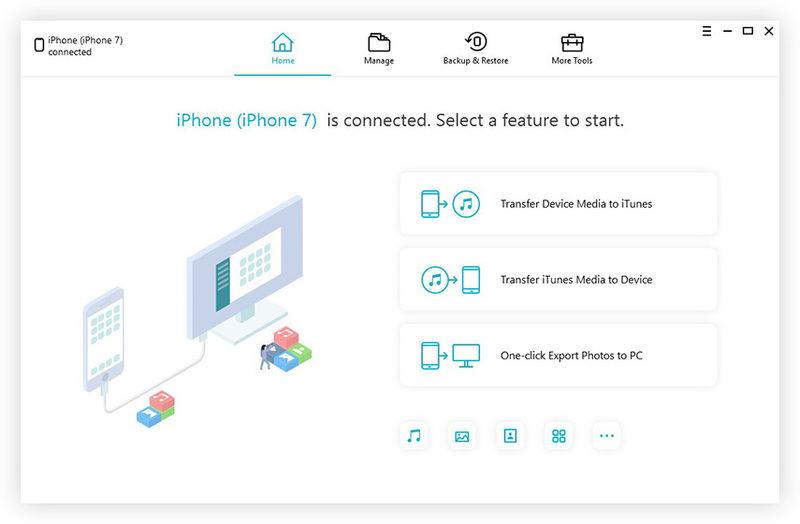 iExplorer can also transfer a variety of data from iPhone, iPad, iPod to your computer very quickly and efficiently. 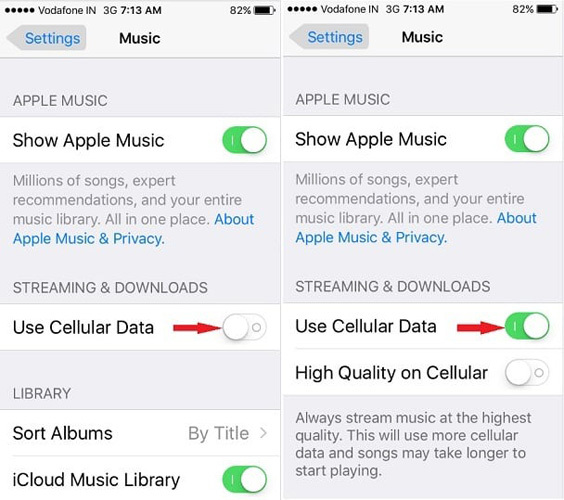 iExplorer will allow you to select specific music files when you are trying to transfer them. The app is compatible with most of the devices like iPhone, iPad, iPod, Mac, and PC. Apart from music, iExplorer also supports the transfer of data like messages, videos, photos etc. Good transfer speeds and easy to use. Unfortunately, iExplorer cannot transfer data from a computer to an iDevice and thus only a 1 way transfer app. The app takes a significantly long time to recognize the connected device. Senuti is a very smart and a simple app designed for iOS users to recover lost files in iTunes Library. Although it is developed as a media recovery tool, it can compare all of the songs in your library and transfer them to your computer as per your need. It is a potent app to transfer music from iPhone to PC and that too totally hassle-free. Apart from music, you can transfer video, movies, audiobook, Podcasts with this app. The app is also very stable, no chance of sudden data loss. Senuti is not compatible with Windows OS. It only supports iPhone, iPad, and Mac. The app cannot transfer data in multiple directions. Finally, to conclude, these are the best software to transfer music from iPhone to computer available on the market now and each of them is very powerful and possesses various positive functions but not without their cons. Now, it is up to you to choose the most suitable one among these. Choose the one that suits your exact needs and requirements. If you need a flawless software and you can afford to spend some money, we highly recommend you to go for Tenorshare iCareFone. Always remember, quality comes at a price! If you find this article helpful, don't forget to like, comment and share! !